What are the best hostels in Prague? Want the personal touch of a hostel where the staff cooks for you – but looking for the free wheeling action of a party joint? Hostel One Home offers this and more, as the nightly Czech meal that they prepare is included in the price of your bed, saving your hard earned cash for all those beers that you’ll be downing with newly made travel friends later that night. With five different spots to meet new folks, finding people to go out with shouldn’t be a hard task to achieve, so if you’re looking to let loose in Prague, this place should be at the top of your list. If you are looking for peace and quiet as part of your traveling experience in Prague, you needn’t sacrifice the idea of having an atmospheric place to stay. Post Hostel Prague offers this without giving into the temptation of having amenities that breed the hypersocial environment that define so many other budget places in this city. Located outside of the city centre within a manageable walk (15 minutes) in an attractive neighbourhood, this place will help you integrate with the locals in more authentic surroundings, while placing you within striking distance of major attractions. Seeking the assurance and brand power of a Hostelling International property? In Prague, your best choice for in this regard is Hostel DownTown. 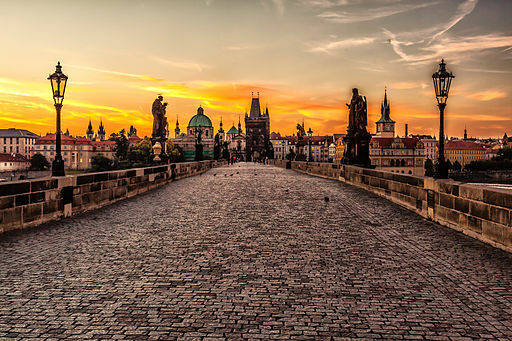 With network wide standards for things like cleanliness and security, you can rest assured that your stay here will be a comfortable one, and with a full slate of activities on a nightly basis, you will have few excuses for being bored after checking out all of the main sights that Prague has to offer. If a place with a family style atmosphere is what you are looking for in a hostel, then the Old Prague House will be your best choice in the capital of the Czech Republic. Located in the heart of the downtown core, all sights are within an easy stroll, and with all the pubs, clubs and restaurants you could ever want to visit within the same proximity, you won’t have to default to a party hostel if you don’t want to in this amazing city.